A Very Merry Readathon 2018 Wrap-Up! I’ve finished my second readathon of December and I’m definitely in a Christmassy mood! I have been really enjoying the Christmas-themed readathons and I’m happy with myself that I managed to complete all the challenges! I guess I am feeling determined to finish as many books as possible before the end of the year! Some books have been swapped around from my TBR, but nevertheless all challenges were completed! Read a book that is set during the holidays. Read a book with a christmassy colour on the cover (I.e. red, green, silver, gold, blue). Read a book with illustrations in it. Read a book that was given to you as a gift. Read a book just because you want to. Challenges: Read a book that is set during the holidays, Read a book with a Christmassy colour on the cover. Incredible cheesy and not-at-all original… But I still enjoyed it and it made my heart flutter from the cuteness. 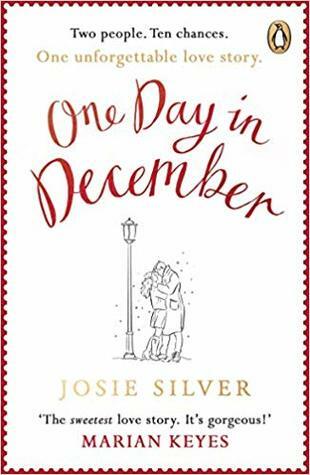 It read like a typical winter rom-com, you knew what was going to happen, but you still wanted to see the ending… and I actually loved the idea of planning a romantic Secret Santa to show your feelings, it was cute and well-done! Such a cute, quick, christmas read! 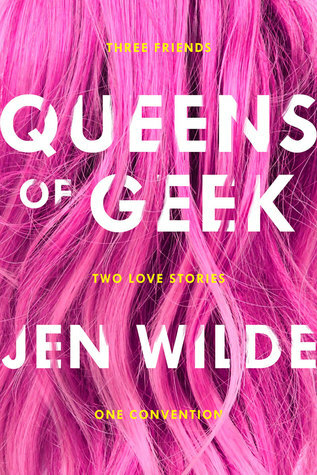 I never really like ‘love triangles’ and communication problems, but it seemed to work in this book, and the female friendships were really good. I enjoyed the main character as she was sensible in dealing with her emotions and was not typically naive like I see in loads of rom-com scenarios. Challenges: Read a book with illustrations, Read a book that was gifted to you. I can’t even begin to explain how amazing this collection was. 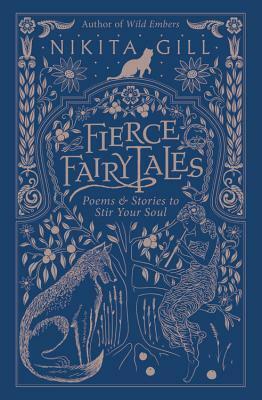 It flowed beautifully from different fairytales and folklore we all know, and each and every one had a superb re-imagining; not only with feminist views but also general self-empowerment, believing in yourself, and being more understanding of others’ pasts. Each imagining was clever and well-thought out, and the writing was lyrical and mesmerising. I tried to list all the ones that stood out to me, but I was writing down about 98% of the pieces! There was a good mix of poetry and short stories, and didn’t feel forced or dragged out. It was perfect – I will re-read this to my children one day. I quickly swapped this book from another I had on my TBR because it can lead on into the next readathon. I am so happy I read this, I knew J.K. Rowling gave a speech at Harvard but I never got around to watching/listening to it, and my God! It is so inspirational. My favourite quotes were “The knowledge that you have emerged wiser and stronger from setbacks means that you are, ever after, secure in your ability to survive.”, and “It is impossible to live without failing at something, unless you live so cautiously that you might as well not have lived at all- in which case, you fail by default.” Would recommend this to EVERYONE. We can all take something from this speech. Those were all the books I have read for the A Very Merry Readathon, completing all 5 challenges! What books have you been reading recently? Anyone sprinting to the end of the year to complete their reading goals? I’d love to know! The first readathon of December has finished, and I had a blast! Even though I only had one short book to read for it, I still went out and read other festive books. So I doubt it needs to be said that I completed all the challenges! Except for the voluntary group book, which I have bought and will read outside of the readathons. Read a book with red or green on the cover. Read a book whilst listening to Christmas music. Read a warm and fuzzy book. Read a holiday themed book. *Group Book: SNOW IN LOVE – MELISSA DE LA CRUZ, NIC STONE, KASIE WEST & AIMEE FRIEDMAN. Challenges: Read a book with red or green on the cover, Read a book whilst listening to Christmas music, Read a warm and fuzzy book, Read a short book, Read a holiday themed book. 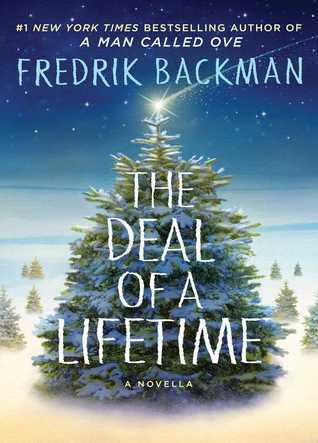 I am slowly making my way through Fredrik Backman’s books, only because each of his books so far have pulled at my heartstrings. 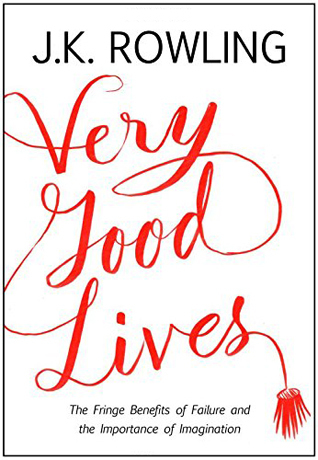 I really liked this book, it was told from the perspective of an older gentleman getting ready to meet his son after leaving him and his mother years ago, and he ponders about his life, the mistakes, regrets, and excuses. He is then met with an opportunity to make something right. Even though this was a very short book and was over within an hour, I still felt my heart aching at the end. Of course I would’ve liked a bit more of a developed story, but I fear if it was, I would’ve definitely cried at the end. Silver linings, right?! Challenges: Read a book with red or green on the cover, Read a warm and fuzzy book. Technically this wasn’t part of my official readathon TBR, but because the other book was so short and I pretty much read this during the readathon week, I might as well add it in! And I thoroughly enjoyed my time reading this; it was adorable without being cheesy, it was predictable in a few bits but still felt realistic. I adored the relationship between Laurie and Sarah, such a genuine female relationship to read about. I got huge ‘One Day’ vibes thorough-out the book, with a bunch of ‘almost’ moments and ‘will they/won’t they’ vibes. One of my biggest pet peeves in books is when a simple bit of communication would’ve solved a lot of issues, but in this case it sort of made a bit of logical sense. The ending really felt like something out of Bridget Jones, which I was all for, but it was over very abruptly and I wanted more about after the kiss. 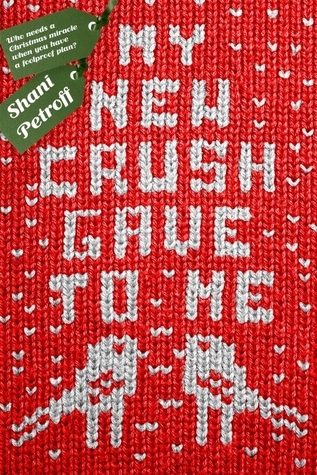 Overall I got my fluffy, holiday romance kick out of this book, and it totally got me into the mood to read more! So that’s my wrap-up for the TisTheSeasonAthon 2018! They have recently announced that they would be bringing it back next year which is music to my ears! I’m excited to see what Bookables will bring to the readathon next year! So what did you guys read during this readathon? Did you complete all the challenges? What are your reading plans for the rest of the month? I’d love to know! 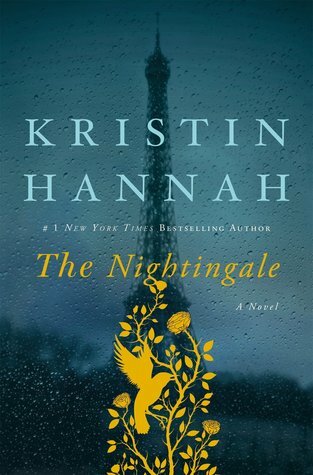 Wrap-Up #5  – My Next 5 Books! Hello guys! Here is my wrap-up for the next 5 books I have read. I may have needed to go back and read my thoughts on the book because I had read them about 1-2 months ago and they were not so fresh in my mind, but alas, it’s here! And some of these were truly great books. I reckon listening to the audiobook for this was a mistake. Right from the beginning I could not grasp what the story was about. By reading to the end I understood the subject matter and I sympathised with the horrible experiences that were endured by the main character, so difficult that they go to extremes to come to terms with the horrible memories. However, the way the novel is structured makes it one of the most difficult reads I have come across in a longtime. There was a lot of jumping to and from different time periods which wasn’t really well explained or executed. As a Star Wars fan, a biography-type of one of the prominent characters would of course hold high expectations. 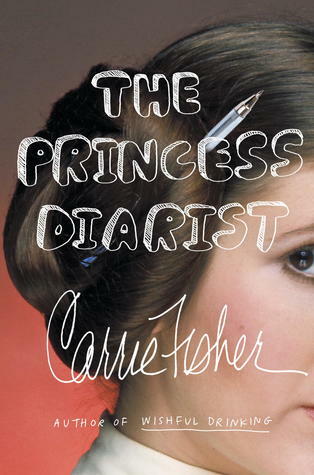 When I was reading this, it felt like I had Carrie Fisher’s voice in my head, which felt really bittersweet since her death. I did enjoy this, and I did learn things about Carrie’s past and what her thoughts/reasonings were behind some key moments in her life. I can say that I really enjoyed it, but that’s all, it won’t really stick with me as much as I would have hoped. This was a very fun book and a fantasy concept that I haven’t really come across before! Overall the plot was good, even though I found the ‘twist’ obvious, I still enjoyed the journey. The characters were so lovely and likeable and real. I did feel I wanted a bit more development in the main character and the plot surrounding her. It did feel like just a tip of an iceberg, and I needed more from it. I really did enjoy this book, but I doubt i’ll continue the series. 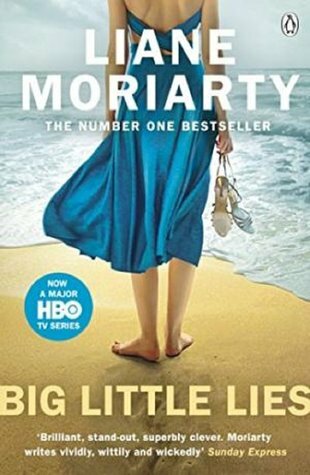 I had avoided reading this because of the hype and buzz around the TV series, and also that I found the plot to not grip me enough. But something pushed me to pick it up and see what it was really like, as I also heard great things about the book. I loved the characters, especially Madeleine! They were all so well-rounded and flawed. Even though I guessed the big secret I still found it very enjoyable watching everything unravel piece by piece. It was a very suspenseful read, but also very entertaining. This is a book that was meant to be devoured quickly! Who’s have thought that schoolyard drama could be so entertaining! This book was written beautifully, Hannah is such a talent. It’s a beautiful story about sister relationships and perseverance. Both sisters were parallel opposites, but were both so strong in different ways. Set in Nazi-occupied France, which is one of my favourite time periods to read from. 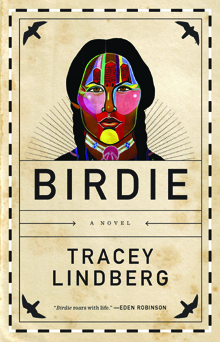 This novel was done so well, it felt like I was reading about people I knew. Tears were shed, had both horror and joy on my face, it was truly a beautiful book. The only reason I’m not giving it 5 stars is that it took a while to get engrossed into the story. And those are the 5 books I have read recently (recently being used loosely) What books have you guys been enjoying recently? Any new favourite you want to gush about? Any of these you have read and felt similar/differently to me? I’d love to know! Wrap-Up #4  My Next 5 Books! What’s this? Two posts in ONE day? Bear in mind, these wrap-ups won’t include the books I read in readathons, if there was a readathon I participated in that particular wrap-up will be linked! 🙂 In this case, there was the Magical Readathon (OWLs) that I participated in, the wrap-up for the books I read for that will be found here! I did enjoy this book to an extent. The plot kept me engaged enough to keep going, as it was quite intriguing. It took a while to get things going and I didn’t feel there was enough world-building. And the relationships were questionable, especially the initial one Jude had, and I saw the plot twist pretty early on. 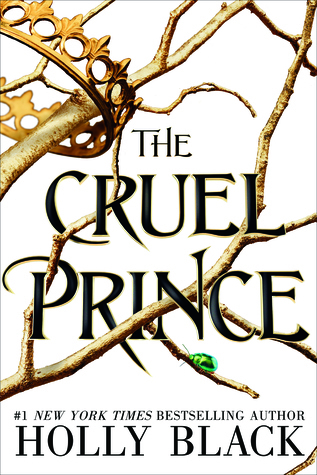 I didn’t understand why ‘the cruel prince’ was only present a bit in the beginning and nothing in the middle, and comes back for the end. So I didn’t understand his character at all. I did enjoy the book, but don’t think I’ll continue the series. Very heart-warming and enjoyable read. Was told through a series of letters between the main character and members of the Society, her publishers, love interests amongst others. We get an insight into a fairly forgotten part of the war; the impact it had on the Channel Islands, and more specifically Guernsey. They are situated close to the French coast but still part of Britain, so was quite difficult for the residents on the island. It’s a lovely book to breeze through, but I don’t think it’ll leave a lasting impression. I was really delighted with this. I hadn’t read any of Anne’s work before so didn’t know what to expect. 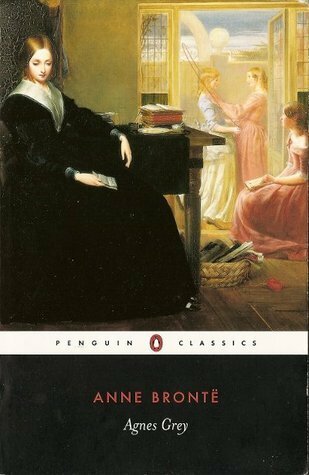 The story is extremely well-written and Anne wrote herself in the book incredibly well. 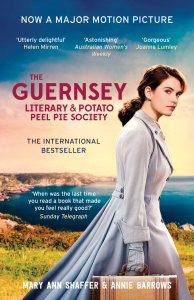 The plot was simple, but we see a coming of age story of a young girl who wants to be a governess and goes for it, despite her family thinking she wouldn’t be able to handle it. She ultimately proved them wrong and I loved that! 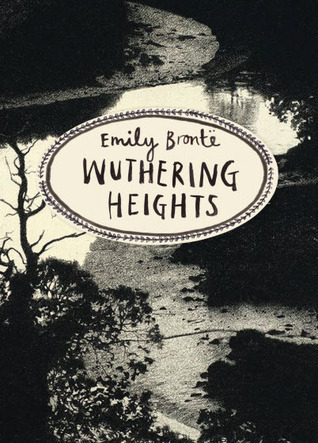 She also struggles with religion, morals, romance etc as well and I think it is an all-round great book for those who read classics or coming of age stories. This is only a novella and is meant to be a bridge between the first trilogy and the next. We follow the Inner Circle after the events of ACOWAR and they prepare for the Winter Solstice and repair the damage left behind. Not much happens, but I was so happy to be in this world again, and see the banter and bind between the characters. 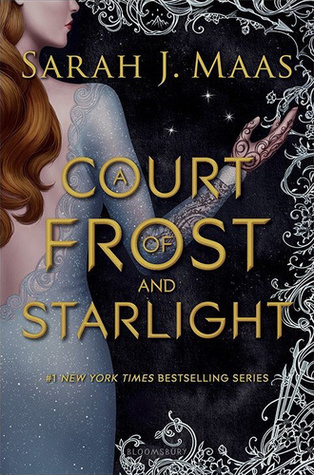 I liked how Feyre reconnected to her love of art and was trying to be there for her sisters. I am really excited on what the next trilogy holds! I have never picked up a full-length graphic novel before, so didn’t know what to expect. 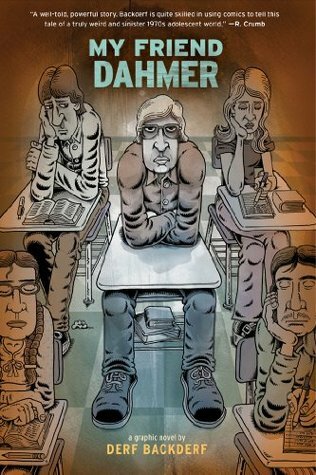 I found it so interesting learning about a young Jeff Dahmer from a fellow schoolmate’s point of view. You can see the turning points in his life that led him down the ‘path’, and the downward spiral that occurred. No-one saw it coming, but it’s clear as day looking in retrospect. It’s scary that he was just a loner, misunderstood, troubled teenager with a rough home-life, like a lot of us. I find it intriguing learning about serial killers and what ’causes’ them to commit the acts. So there is my wrap-up of the next five books I read (not including readathon reads) and they were overall good reads, but nothing groundbreaking and nothing I absolutely loved enough to get me back into the swing of reading, which is a shame! But I am hopeful with the next reads I have lined up! 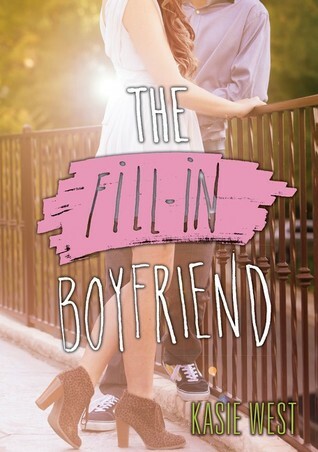 See my TBR post coming soon! SO what have you guys been reading recently? Any new favourites you recommend to get me out of my slump? Have you read any of these books, and what did you think of them? I’d love to know! Wrap Up #3  – Books 20-25! Hey Readers! Apologies for going AWOL recently, still getting used to living back home! I decided back in March that I would do wrap-ups for every 5 books I read, and I must say it has relieved a lot of the pressure, especially when I have bad reading months! I can see why this such a highly acclaimed novel, however I found it quite confusing in parts. I couldn’t get behind the characters and did not fully connect with them, mainly because they were awful people and made questionable choices! 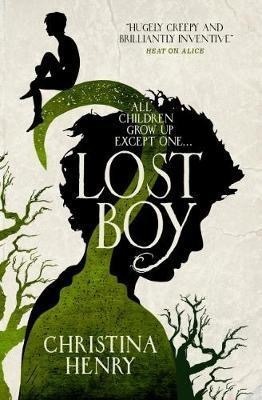 But I kept reading mainly because I wanted someone to have a happy ending and hoping it wasn’t all doom and gloom! It’s such a trek to get through, but the emotional roller-coaster was worth it! This was a classic that I have had for a while and didn’t really know that much about it, so the story hit me by surprise! It was interesting to read about the experiences of patients within a mental hospital. 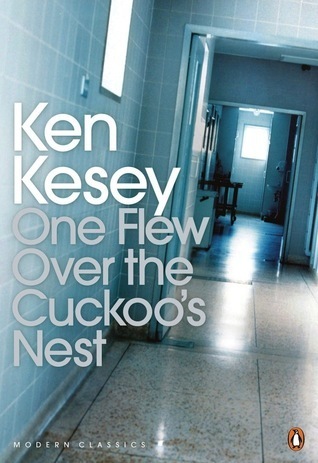 The tension between McMurphy and Nurse Ratched was so enjoyable to read about, because it was so inevitable! It was great display of order versus chaos and it really does make you think. I didn’t read this as a child, and I truly wish that I did! I would’ve taken so much from this story. It’s very whimsical and in some parts things did seem to go all over the place and it was hard to keep track of the plot some times. But the overall message of individuality and ‘it’s okay to be different’ is very important and I feel a lot of younger readers would be able to find some comfort in the story. The finale to one of my favourite trilogies! 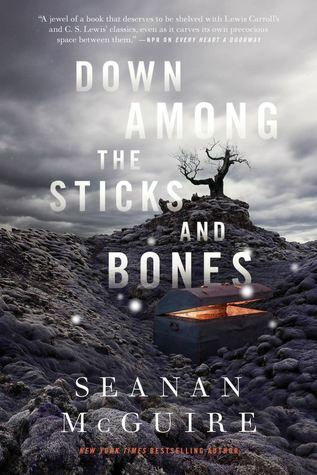 I really enjoyed this book but I did think it was the weaker of the set. There seemed to be a lot more video transcript sections than other writing styles which made the book more difficult to get through and meant it didn’t feel as enjoyable as the other two, and the ending wrapped up too nicely in my opinion! I still loved the conclusion and was gripped into the story, I loved all the characters including the new pair that were introduced. This is still going to be one of my favourite trilogies! I was intrigued by Jack and Jill in the first book so I was thrilled by having a book based on their back-story. You can analyse exactly why the events in the first book happened. Which I found extremely interesting! I really related to Jack and Jill’s character’s in separate ways; if you mismatched parts of their personalities you will get my own! And I honestly felt for the girls as they were forced to grow up in the moulds that their parents had set for them, and watching the consequences of that developing over their time in the Moors, I found it so fascinating!! So those were the past five books I have read, ranging from 3.75 to 5 star ratings, I think it has been pretty successful! What you guys have been reading in April? Any new favourites? Have you read any of the books I mentioned, and if so, what were your thoughts? I’d love to know! Until next time! Hey readers! Sorry I’ve been a bit MIA recently, I lost my job and split from a 3 year relationship which lead to me moving back home 200 miles away, so not only have I not had much of a chance to read, I’ve been a bit too distracted to post! But everything is all settling now so I’m ready to get back into the swing of things, and I’m here to tell you my favourite reads of Winter! I haven’t seen that many mental health books that focus on a male sufferer. This book was a breath of fresh air in not only that respect, but the fact that someone is more than just their mental illness, and I found that message to be imprinted in so many parts of the book! It was relatable, if mental health and LGBT rep, you felt for the characters and their struggles with making friends, you also see how it may affect the parents and how they have adapted. You really get an overall positive message regarding mental illnesses and what it may actually be like to live with it, or someone with it, on a daily basis! Highly recommend! 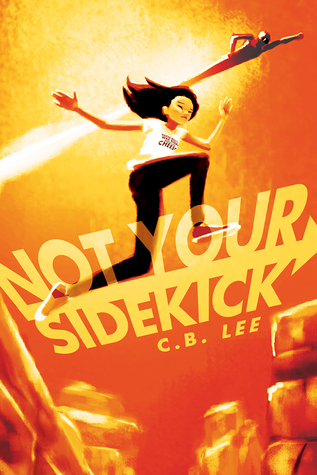 The Goodreads page is linked here if you’re interested! 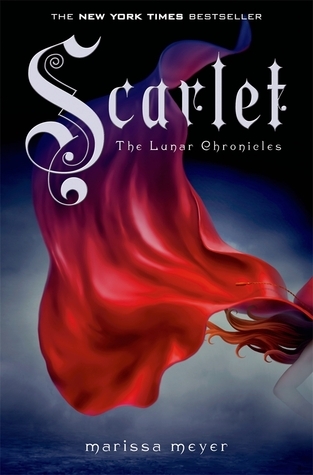 The second book of the Lunar Chronicles, and I enjoyed this more than I thought! I enjoyed Cinder, but this was on a different level. It may be because the plot was really interesting in my opinion, and I loved seeing the pieces fit together with Cinder. I was able to fly through it with ease and I just ate the story up! I understand it may have been a bit too tedious or long-winded for some, but I found it perfect! Marissa Meyer’s writing is just so addicting, I love her writing style. I have a good feeling about the rest of the series! Here’s the Goodreads page for more info! 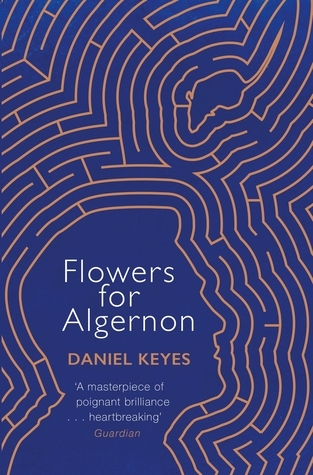 I wasn’t expecting much from this to be honest, and I wasn’t really aware of what it was about, except that Algernon was a mouse! We follow a man with a low IQ undergo a scientific experiment to increase his intelligence. I think the author did an absolute perfect job with the message from this book. 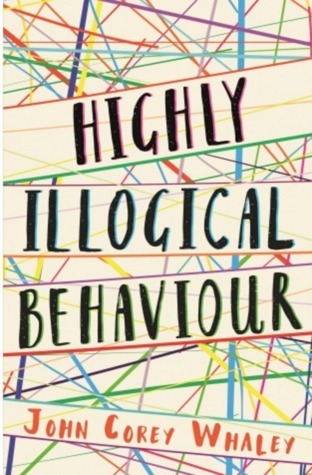 It highlighted how we have developed a strong need for knowledge and to get smarter, but also how getting smarter can make you realise all the things you may not have noticed before. It really explains ‘ignorance is bliss’ in the most profound way. I really enjoyed how the author put in spelling mistakes and grammatical errors where the man had a low IQ. You don’t get books about personal development on quite this scale! Find it on Goodreads here if you want to see more about it! This was a series of comics strips illustrating Debbie’s life as an introvert and the daily struggles that came with seemingly simple activities. I felt so connected to it, it was like reading a comic strip of my own life! It’s comforting to read someone’s perspective on life be so similar to yours, and you end up not feeling so alone! 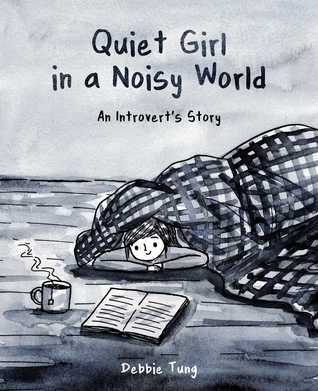 I would recommend this to every single introvert in the world, and also some extroverts who may not understand our internal struggles or ways of thinking. It’s definitely something to pick up whenever you’re feeling down or lonely! Please find here the Goodreads page if you like to learn more! 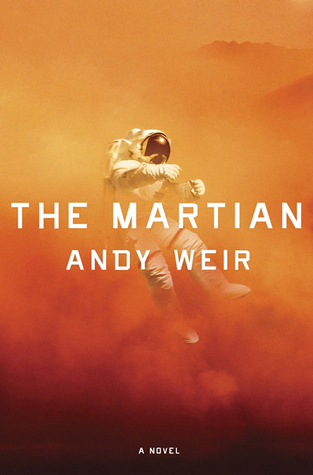 This is the story of a Mars mission gone terribly wrong, one man is left behind and has to survive with very little. We follow through Mark Whatney’s logs, and some scenes back at NASA. 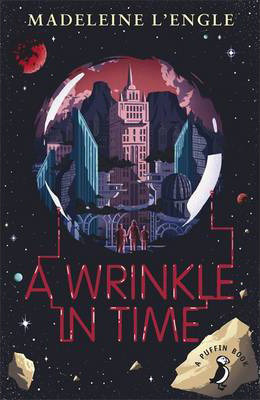 Even though it’s been almost 3 months, I still think about this book and how much I loved it! I am craving a follow-up story so much! Mark Whatney’s narrative is second to none and incredibly entertaining. You can feel inspired by his positive and can-do attitude within the situation and also make you think that things are not as bad as you might think. I would highly recommend this to anyone, and please do not feel discouraged with the scientific jargon! The Goodreads page is linked here for you! So those are my favourite reads of Winter! I loved every one of these and would recommend everyone to pick them up! Have any of you read these, and if so, what did you think of them? Any recommendations based on these favourites? I’d love to know! Stay tuned for my Spring Reading List! Another great reading month! Despite it being considerable shorter month than January, I was still able to read 10 books! At this rate, I could easily overtake my highest books read in a year, but it’s still only two months in so I don’t want to get ahead of myself! I’m just enjoying all the books I’m getting through! I usually would start with the lowest, but because I ended up DNFing a book this month, I’ll have to start with that, and I fear I have a very unpopular opinion. It’s not that her characters or writing is unbearable, I just couldn’t get hooked into the plot. Nothing drew me in and I wasn’t overly excited about the ‘plot’ beforehand anyway, so it was difficult to keep reading. When I usually get this, I give the book 50/75 pages before I decide to continue or not, but I just couldn’t continue. I had so many books I was excited to read that I couldn’t justify spending any further time on a book I’m not interested in. 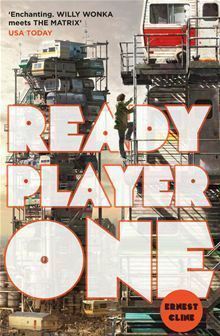 As much as I love diversity in books, it seemed this was the only good thing about the book, and that’s not enough to hold my attention, unfortunately. It took a while to get into the book, the first half or so was based around the boys Peter had took, and what it was like to really be around him. He was quite a fearful character, and you could feel the tension between him and Jamie. It was like watching a time-bomb count down and suddenly all hell breaks loose, and that’s precisely what happened! It felt like there needed to be a second half to the book, but there never is. As we are all very aware of the fairy-tale or Disney adaption, I feel we can feel in the gaps. We follow Gia who has recently been dumped by her boyfriend Bradley, just before they were to enter the school dance. In panic, Gia asked a guy sat in his car to pretend to be her boyfriend for the evening. And everything spirals from there. I read this as part of the Inlove-athon which overlapped with this Contemporary-athon! So my review for this book will be found in that wrap-up here. 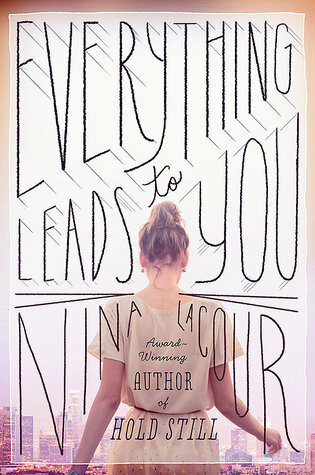 Everything Leads to You follows Emi who is working in Hollywood as an intern set designer, and is trying to get over her ex-girlfriend who dumped her for the umpteenth time. She and her best friend, Charlotte, come across a letter written by a recently deceased famous actor, and we follow them as they uncover the meaning behind the letter and try to return it to it’s rightful recipient. I read this as part of the Inlove-athon, so my review for this is found here. Everybody knows what this is about, so there is no need to give a synopsis in my opinion! 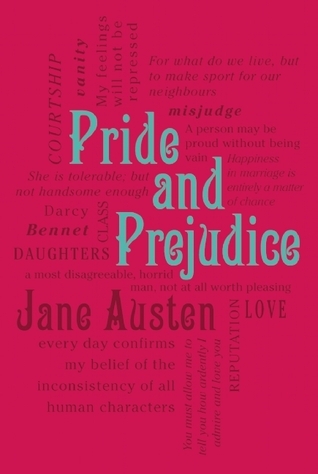 I re-read this as part of the Contemporary-athon so my thoughts on Pride & Prejudice can be found there. 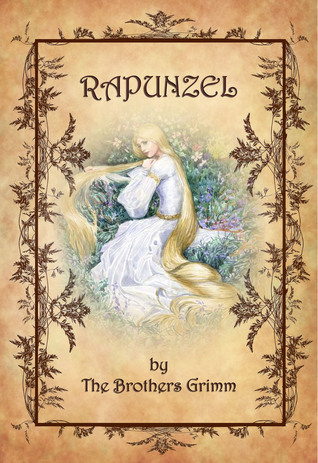 I learned so much about the adaption after reading the fairytale, and can understand the similarities! I read this as part of the Inlove-athon challenge to read a fairy-tale and then watch the adaption (Tangled), my thoughts can be found there. Over the course of a weekend, we follow three friends as they are at SuperCon, a massive convention. 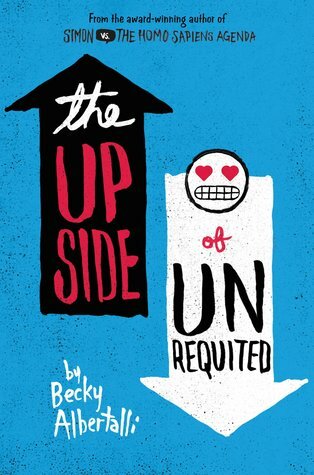 I picked this up in place of a diverse read for the Contemporary-athon after DNFing The Upside of Unrequited. My review can be found in that wrap-up here. Debbie Tung illustrates her life as an introvert and the many obstacles that come along with that. I read this for Contemproary-athon for the challenge to read a Contemporary Graphic Novel. So my review can be found here. When James Halladay, the creator of OASIS, dies, he leaves his entire fortune to the player who can uncover the Easter egg he had hidden within the game. We follow Wade as he goes through this journey. This is full of humour, 80’s references, and truly an enjoyable read. 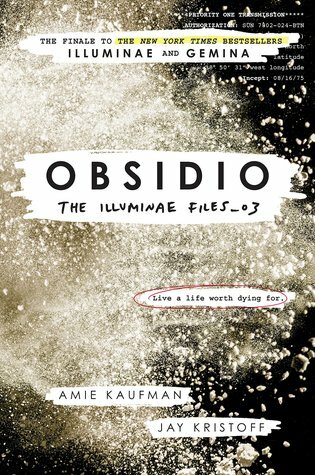 I felt connected to the characters and loved each of them, I didn’t want it to end! I have a more in-depth review on Goodreads here. Have you read any of these books? If so, do you agree or disagree? Any new favourites of the past month? And what are you’re reading goals for March? I’d love to know!